Footprints in the Butter: Curriculum Clean-Out: IEW and Greek winners! 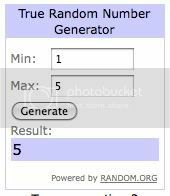 Okay, so it is time to pick a couple of winners. 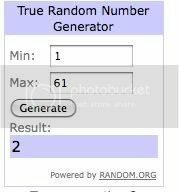 I had two giveaways ending at midnight. I'm a blog stalker -- FB, GFC, NB, yada, yada. I am SO excited, Cristi! I sent you an email, and you don't even have to respond! Then it was time to pick a winner for Hey Andrew, Teach Me Some Greek Level 2. 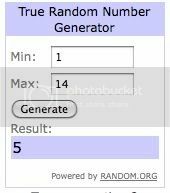 I screwed up, thinking that I had 13 entries instead of 14. So I drew twice. Both times I got the same winner. Obviously, she was meant to be! And finally, I drew for a winner for Hey Andrew Level 3. Though the odds were pretty well stacked in favor of one individual here. So apparently 5 was a good number this morning. I linked up two curriculum giveaways on my blog. Pandia Press Ancient History and MUS Algebra I.
Michelle and Kim, I've contacted you both as well. Saturday, I'll be getting to the post office, and shipping these media mail.